Take the topical satire of Have I Got News For You and mix thoroughly with the adolescent humour of The Inbetweeners, add in a healthy dose of Monty Python-esque absurdity and finish off with lashings of songs and dances. Then serve it all up to a baying crowd in an atmosphere more like a football match than a theatre stage. Welcome to the world of Aristophanes, ‘the father of comedy’. The rise of democracy in ancient Greece produced one of the greatest ever flowerings of culture and gave birth to history, philosophy, science … and ---- gags. Theatre first appeared in Athens 2,500 years ago to educate and entertain the growing audience of citizens. However Greek theatre wasn’t a quiet entertainment but a rowdy, competitive sport involving teams of performers battling each other for prizes. Why was theatre-going so important to the Athenians? 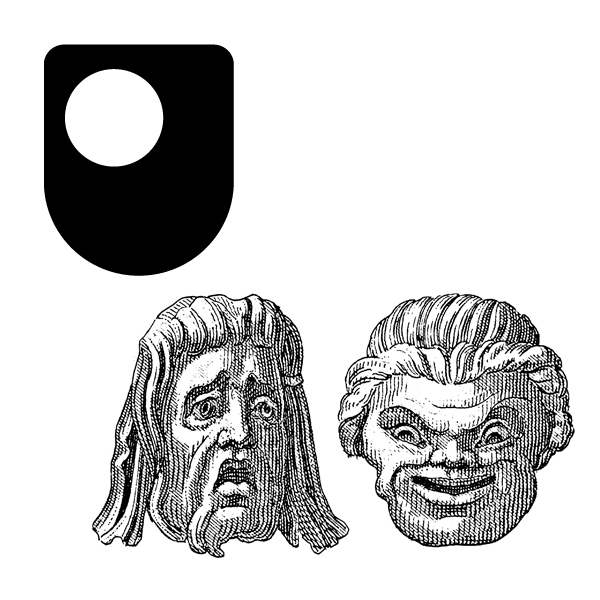 James Robson, Senior Lecturer in Classical Studies at The Open University, looks at the birth of comedy and the rise of democracy and wonders why we never hear of Spartan stand up. Join us on a journey to the ancient world and explore the heart of Athens: the theatre. What was it like to go to the theatre nearly 2500 years ago? Greek theatre has survived through the ages as a powerful and influential art form. This album introduces what early Greek theatres looked like and the kind of audience they attracted. Using the Theatre of Dionysus as a starting point, experts discuss the significance of attending the theatre as a civic occasion, associated with the political and cultural achievements of Athens. Through archaeology and analysis of contemporary art forms, such as decoration on pottery, a picture is built up of ancient Greek theatre. The album reveals how precious Greek texts have survived, and how Aeschylus’ tragedy 'Persians' has been interpreted in modern theatre. 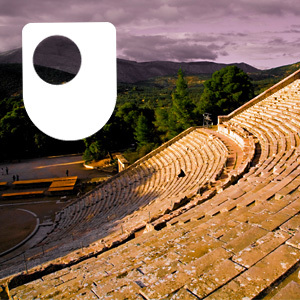 This material forms part of The Open University course A219 Exploring the classical world. The concept of the city was central to both the Roman and the Greek sense of identity. The Romans arrived in the British Isles, bringing a number of new plants with them. Explore the ‘riddles’ of the oracle through the words of Herodotus, and consider the power of the Pythian priestess. The utterances of the oracle at Delphi had significant influence over Croesus, King of Lydia and the Athenian politician, Themistocles as they were both consulting the oracle under different circumstances. When thinking about ancient literature and historiography, we need to consider more than just the words written, but the aims of the author, role of the translator, political and cultural issues of the time of writing as well as the period in history. The film Mad Max: Fury Road is set in the dystopian future, but is the narrative a recycled story from Roman and Greek times? N.B. contains spoilers for the movie. Reveal the stories of Hadrian's Wall and take a look at the legacy the Ancient Romans have left behind. Paul Hatherly explains how the synchrotron radiation source is able to unravel tales from the pigments of historic artefacts.